As a former editor of two business magazines who switched tracks to focus on the country’s failing education system by co-promoting EducationWorld on the eve of the new millennium — a year of great hope and expectations — I was struck (and remain struck) by the near total disconnect between industry and academia. In particular I’m surprised by the depth of ignorance within the overwhelming majority of the country’s schools, colleges and universities about elementary business organisation and management practices. I suspect this vast chasm which separates industry and the academy is the outcome of the bankrupt socialist economic development model ill-advisedly adopted by the neta-babu establishment immediately after India wrested political independence from exploitative foreign rule in 1947. Archaic clerical business management mantras of the country’s ab initio loss-making public sector enterprises run by business-illiterate clerks and bureaucrats, became the officially favoured model for education institutions to follow. 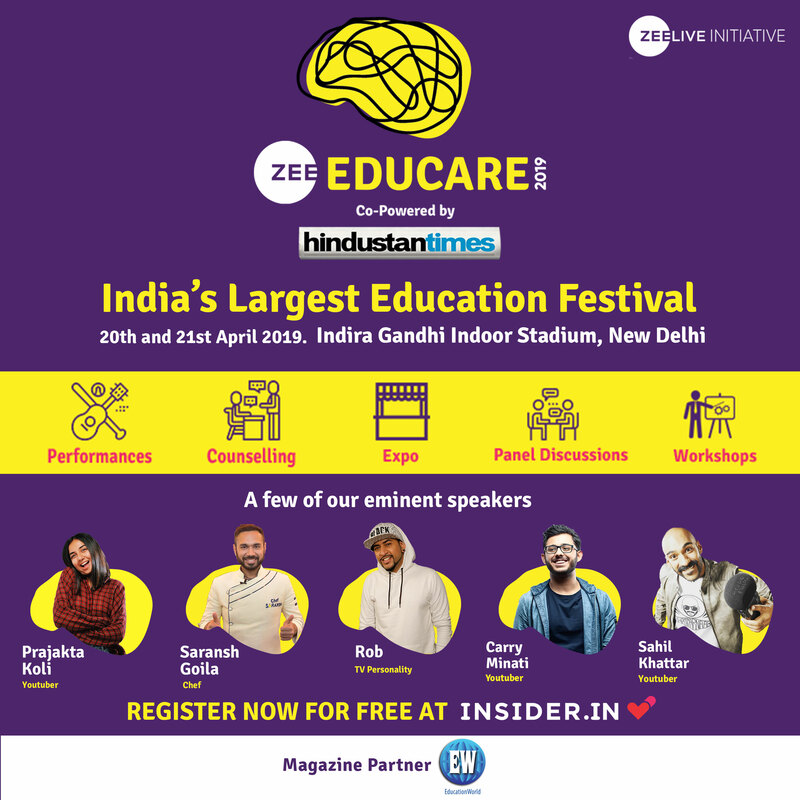 The pathetic chaos and confusion which defines India’s government schools and public institutions of higher education are a natural consequence. Somewhat miraculously, India’s private unaided (financially independent) schools — some of them of over 150 years vintage — survived the socialism tsunami, perhaps because leaders of the new establishment knew better than to send their own children to government schools. Nevertheless because of the bad odour created about private enterprise by the influential neta-babu brotherhood (and the Supreme Court which castigated “commercialisation of education”), the organisation management practices of the majority of even vintage private schools, became enmeshed in a time warp. Regrettably, most of the country’s private schools are ignorant of modern institution and human resource development, marketing, branding, public relations and fund raising practices. 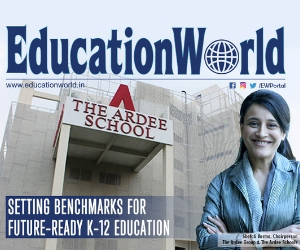 In this issue’s cover feature we examine the institution development and management mantras of a few exceptional schools which routinely top the annual EducationWorld India School Rankings, the largest school rankings survey worldwide. Our special report feature in this budget month issue of EW is equally important. 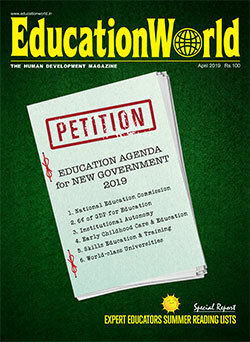 Over a decade ago, EducationWorld took up the cause of crucial but neglected early childhood care and education (ECCE). Since then we have convened nine annual National Early Childhood Education Conferences to advocate greater investment in ECCE, and build a platform for early childhood pioneers and experts to discuss best ECCE practices to provide a good start in life to the country’s 164 million neglected children in the 0-5 age group. EW’s 9th Early Childhood Education National Conference, which also celebrated the country’s best preschools top-ranked in the EW India Preschool Rankings 2018-19 (EW December), featured lectures by several outstanding early childhood educators. 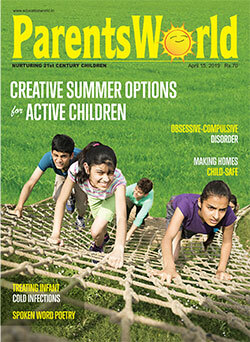 Abridged versions of their lectures are presented in this information-rich issue of EducationWorld.